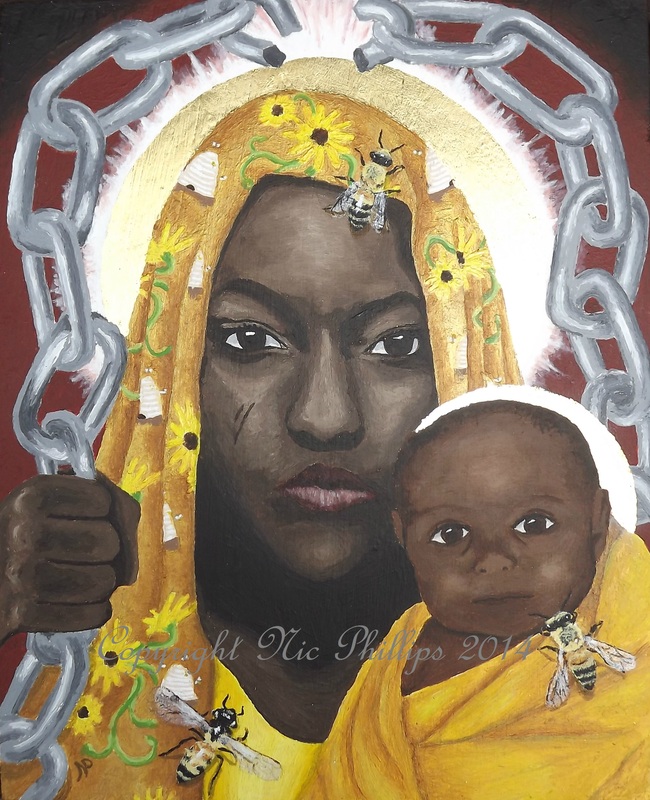 This piece was inspired by the Black Madonna and in part by the fictionalised version ‘Our Lady of Chains’ from the book ‘The Secret Life of Bees’ by Sue Monk Kidd. It also bears influence from the Haitian lwa, Mama Erzulie Dantor. I really wanted to portray a strong African-American Black Madonna after my more traditional Eastern Orthodox one and my Black Isis. And something was nagging me for ages to do a painting involving bees! Acrylic and gold leaf on wood (8in x 10in).